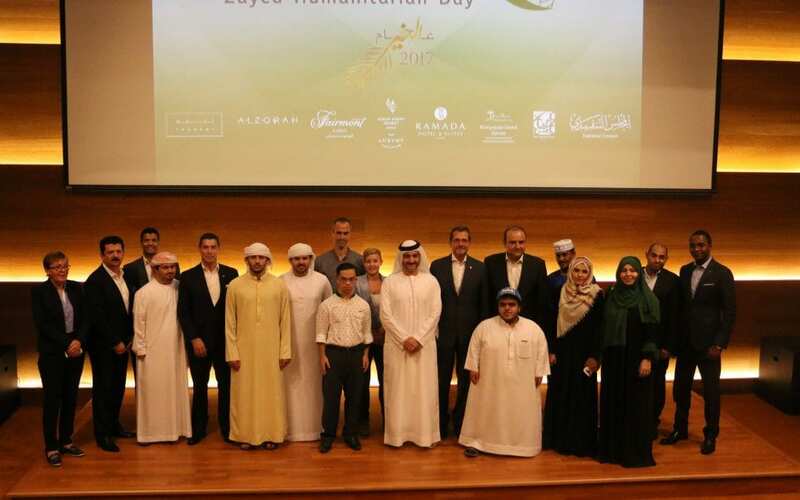 Thanani, the contemporary restaurant in Ajman’s serene Al Zorah pavilion hosted the official opening event of the ‘Zayed Humanitarian Day’ launched by Ajman Tourism Development Department (ATDD). The initiative which is aimed at training and integrating people of determination in the government and tourism sectors across Ajman commenced with a hearty and delectable Iftar served on the evening at Thanani who were also the official sponsors of the event. The initiative was launched under the patronage of Sheikh Abdulaziz bin Humaid Al Nuaimi, Chairman of Ajman Tourism Development Department and is in line with the ATDD’s initial CSR plans and programs. Through this the department aims to fulfil its responsibility towards the community, contributing to integrate people of determination into society. Following interviews with all candidates, the 4-week internship program started on 15th June, where fifteen Interns were placed in various government and tourism sectors across Ajman. The kickoff event was attended by a number of directors and senior officials from the government and tourism sector along with all the Interns and their families, who gathered for Iftar on Wednesday where they savored a selection of dishes while soaking in views of the mangrove forests, creek and the Al Zorah Golf Course. Guests were offered a range of sharing dishes including red quinoa and herb salad with dried cranberries, quail eggs, shallots, roasted garlic and a lemon and sumac vinaigrette as well as a Turkish chicken with yoghurt and spring onions. To encourage the initiative and provide an opportunity of empowerment to the people of determination, the Ajman Executive Council, as well as ATDD, each offered an internship placement, with further positions having been filled in some of Ajman’s leading hotels such as the Fairmont Ajman, the Ajman Saray, a Luxury Collection Resort, the BAHI Ajman Palace, the Kempinski Hotel Ajman and the Ramada Hotel & Suites. Zayed Humanitarian Work Day falls on the 19th day of Ramadan every year in memory of the late Sheikh Zayed bin Sultan Al Nahyan (May Allah rest his soul in peace), who passed away on this day.